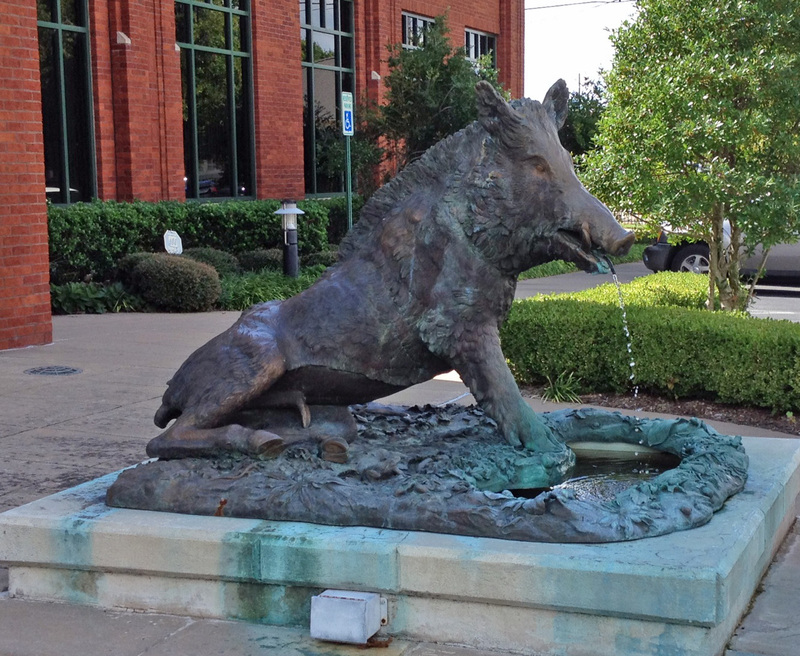 The bronze boar that stands watch over our Little Rock office represents a long and well-traveled history. In 1620 an Italian artist, Pietro Tacca, copied and cast into bronze the original marble statue of an unknown ancient Greek artist. The ancient Greek marble sculpture, Cinghiale, is now in the Uffizi Gallery in Florence. The original bronze statue greeted visitors to the Florence Straw Market until 1962, when it was moved to the Borgello Museum in Florence for fear so much rubbing of its snout for good luck would eventually ruin it. The original casting was retained, and a new bronze was made to replace the original of the Florence Straw Market. Just as one can see a copy of Michelangelo’s David on the plaza and miss the original protected in the museum, one can see a copy of Porcellino at the Florence Straw Market and Pietro Tacca’s original housed in the Borgello Museum. Since 1962, approximately 15 other copies have been made, including one displayed in the Louvre and another given to the City of Aix en Provence by the City of Florence. For some reason, we have noticed a special affinity for Porcellino in Arkansas! You are welcome to rub its snout for good luck—just as we do!